BlogHome » Google’s Tracking Ability — Is It Cool or Scary? Here at an SEO/Digital Marketing Agency, this is the paradox I live – the love of Google’s ability to track, provide indisputable data and hone-in on my target audience for marketing, and, am I, personally, comfortable with being watched and tracked to an excessive level, being someone else’s target (audience). In most of my articles I go on about data, and how this is an absolute must for driving your business forward in today’s digital world, and it is. However, deep down I think I may be a bit of a closet conspiracy theorist. Having researched this topic in depth, I have become mesmerised by the level of accepted intrusion most of us expose ourselves to each day. By “accepted”, I am referring to the agreed terms and conditions, which we readily click and accept, and the overall complacency of how we now function with our mobile devices and searches. Below are a few interesting links, exploring as to how tracking is serving data for individual marketers and the closet theorist, most of which I am sure that you have breezed over in the past. 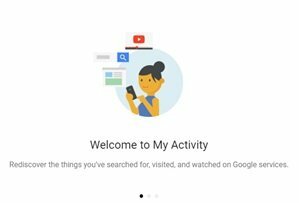 If you want to get a sense of what you have been up to and how much data has been stored about you and your device interaction, go to the new, all in one https://myactivity.google.com/. I am a relatively uneventful guy, married, kids, dog etc.… but I was amazed when I logged in and looked at some of my stats and search history – some weird stuff, 10 funniest squirrel videos? Ok, it must have been me. I really wondered overall, what this said about me to a data analyst or a psychologist. The reality I came to was that some (a lot) of certain data was based on thinking out loud. In the days pre-Google these would have been the cause of conversations with others or just forgotten about as a passing thought. Now, they are there forever stored in a database which will eventually be used for one reason or another, and the funny part is, that in some cases I don’t remember what lead to that thought or search. Within the “Activity controls” you have “my activity” this is where you can go to check out your movement through “location history and see where you have been over time. In most cases “my location” is on by default on your mobile device and this allows a pretty in-depth look at where you have been and what patterns emerge. It also a great interaction with Google Maps. You also have “Device Information”, “Voice & Audio Activity”, “YouTube Search History” and “YouTube Watch History”. 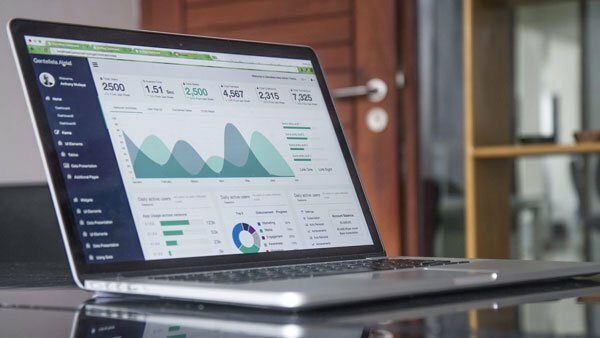 As a digital marketer who deals with the full spectrum of the industry, these tools are vital to constructing a good and robust strategy for my clients. This enables us to not waste their budget on a shotgun approach to demographics or terms. But I do catch a glance of myself in the mirror knowing that one of the largest tech company in the world is able to track almost everyone’s movement, know a heck of a lot about of what they are thinking/what they want and has the ability to construct an Analytics type reporting structure for this data. In the future will we be looking at conversion rates for individuals and profiled groups? Despite being part of a digital marketing agency, I am still not sure if this is cool or scary?